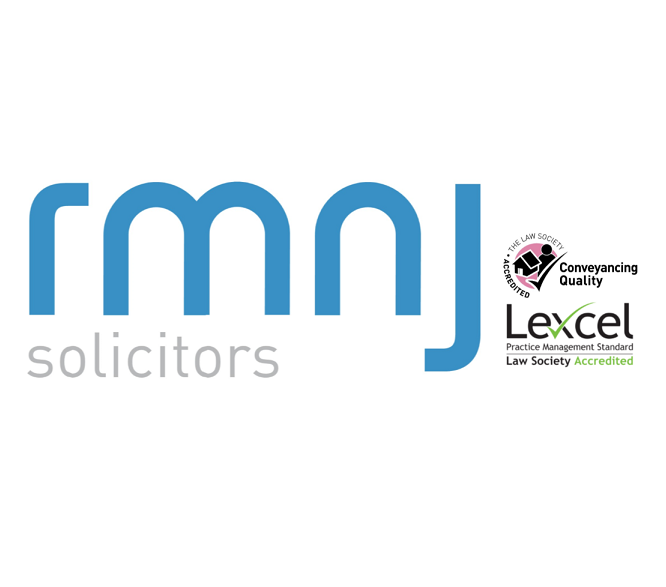 RMNJ Solicitors are property solicitors based on the Wirral, and one of the first legal practices in the country to secure membership to the Law Society's Conveyancing Quality Scheme - the mark of excellence for home buying. We know from experience that today’s home movers seek competent friendly legal service coupled with efficient communications, at a fair price. We deliver, by giving you a clear written confirmation of the cost from the start, together with contact details to allow easy communication with your conveyancer, who will be a specialist undertaking no other type of legal work. You don’t need to visit our offices or make appointments to see a solicitor; our national conveyancing service has been tailored to allow everything to be done by post, telephone, email, to suit you. Your Conveyancer is backed by a team of dedicated support staff to process your conveyancing transaction, swiftly and efficiently. We will liase on your behalf with estate agents,brokers, lenders and other agencies as appropriate to protect your interests and keep your move moving! Like any business, our continued long term success relies on reputation. Our National Conveyancing service has been in operation for over fifteen years and clients who have used the service are now returning to us for their next move or remortgage. We hope that after using our service once, you will do the same in the future. RMNJ solicitors have been in business for over 60 years. You may therefore instruct us to act for you safe in the knowledge that your solicitors are long established, financially secure and properly regulated. Our head office is based in Birkenhead on the Wirral Peninsula. Our conveyancers are all located there. Other RMNJ departments specialise in Accident Claims, Family Law, Mental Health Law and Criminal Law. I've moved a few times over the last 10 years and RMNJ were by far the best conveyancing experience I've had. They always answer the phone and the work was completed quickly and accurately. RMNJ have been great and have worked quickly on our transaction. Sending over documents was easy and all documentation through the process was clear to understand. Any queries or concerns I had were quickly addressed! We needed to exchange contracts sooner than we did. We could have, if the company had been a bit quicker. As a result we can't complete until after Xmas which has caused very big problems for us. Good so far, friendly staff. Being able to log in to progress tracker online is good. I have had absolutely no problems with RMNJ - the whole process was very straightforward from beginning to end. From making an offer to moving into my new property took 3.5 months and they responded to any queries I had in a timely manner. Really fast and efficient service. William or Sandy where always at the end of the phone when questions needed answering and very good communication on their part. I am 60 miles away from RMNJ HQ and still Highly recommend this company as we had no issues whatsoever. As part of our service we provide comprehensive information with easy access to your conveyancer by email or phone. Our opinion is that this client’s file was conducted in a friendly and competent way, without error or delay at any point. We are sorry that this has resulted in a negative outcome from the client’s perspective. We have since written to the client directly in response to the email referred to in the review.